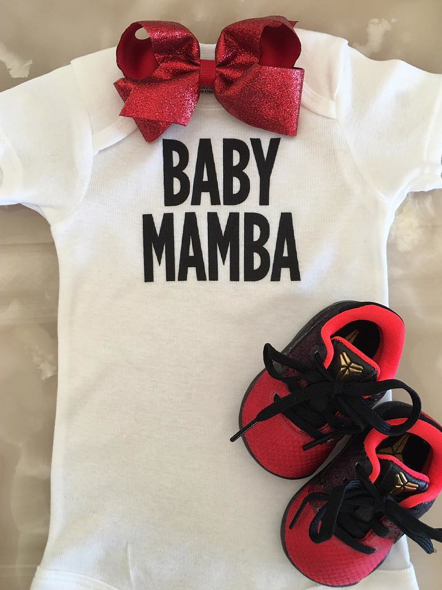 [Exclusive] John Boyega Talks Playing Finn In "Star Wars: The Force Awakens"
NBA superstar Kobe Bryant announced yesterday [Tuesday, July 12] he and wife Vanessa are expecting a third addition to the family—another beautiful baby girl. Bryant posted a picture on Instagram, sharing the exciting news with the world. Vanessa also shared the same picture. “Beyond blessed and excited to share that we are expecting our third baby girl,” wrote Bryant, who already has two girls with Vanessa. Baby Mamba will soon get to meet older sisters Natalia, 13, and Gianna, 10, who are both very involved in sports. Natalia plays soccer and Gianna has followed in her father’s footsteps on the basketball court. Bryant just finished his last season as a Los Angeles Laker in April, retiring after 20 years with the franchise. Although we will not see him on the court anymore, we can expect to see him at the 2016 ESPY Awards Ceremony. He will be presented the Icon Award by pop artist Justin Timberlake. Congrats to the Bryant family!